tack Menu is a site-specific browser to Stack Overflow for macOS. It stays in the menu bar so that programmers does not need to switch away from their development environment and thus get distracted when searching for programming problems. 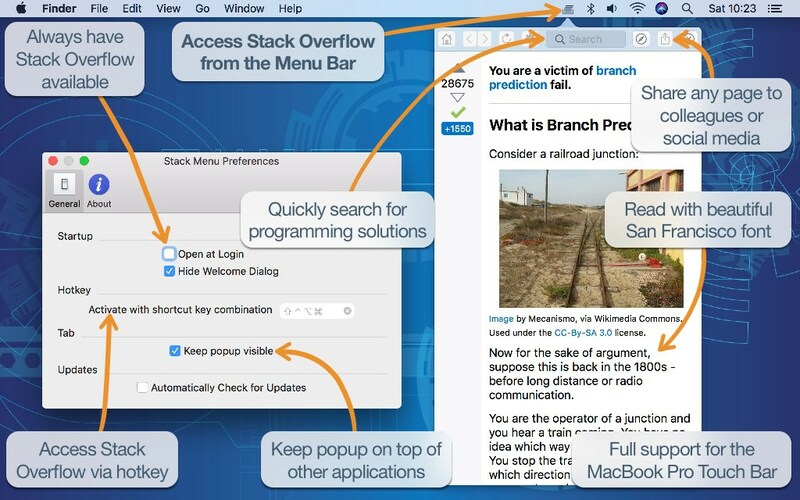 Stack Menu enables users to quickly search Stack Overflow and share pages via macOS' sharing services. As a mac-native application, it provides full support for the MacBook Pro touch bar.